Formerly The Chafford School, and now part of the Harris Federation, Harris Academy Rainham is the heart of the South Havering community. By day, the school specialises in Business & Enterprise, and by evening it can be transformed into a bustling sports hub. 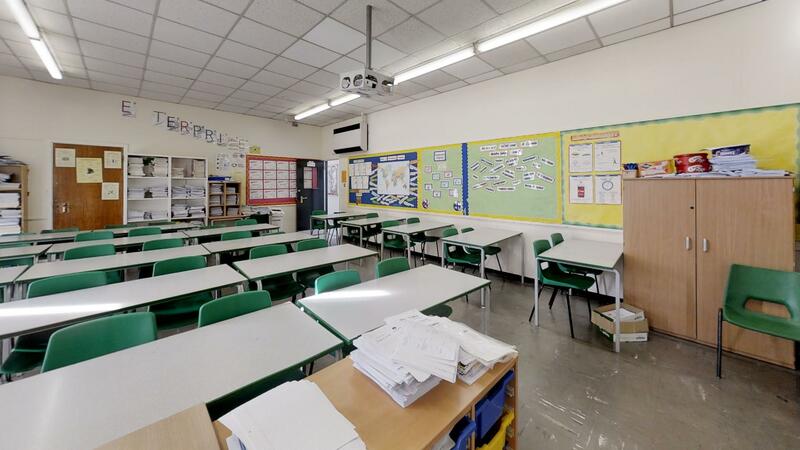 With a wonderful gym, outdoor courts, and main hall available to hire, this school’s facilities will be perfect for your community and sporting needs! 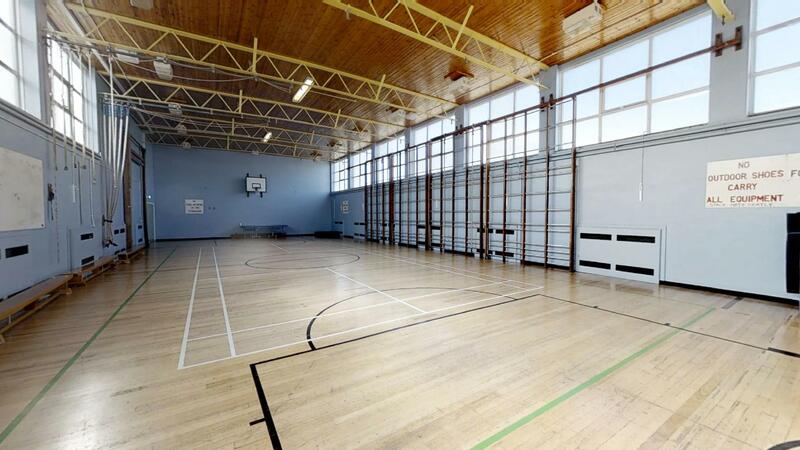 The Harris Academy Rainham's gym comes with basketball and (one) badminton court markings, and has a wonderful wooden floor. It can be used for specific sports or activities, such as karate, as well as other fitness or dance classes. 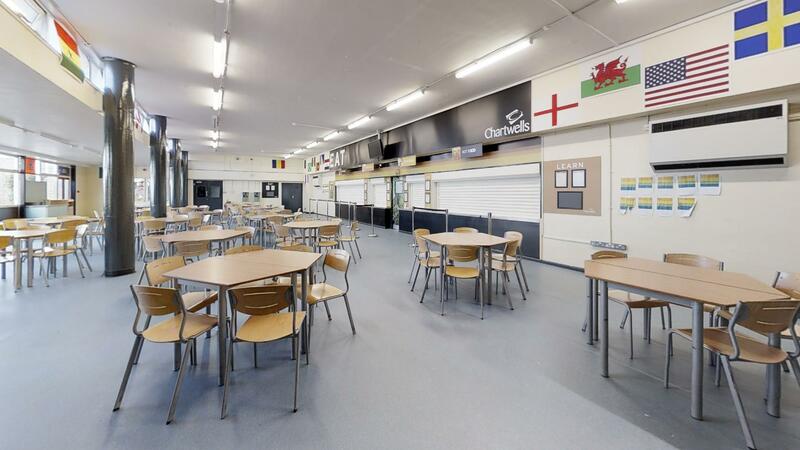 The school's dining hall is a versatile space which can be used for anything from birthday parties to social events, or even as a space for smaller sports classes, such as dance groups. It has a vinyl floor and is approximately 22x28m. The Main Hall has capacity of up to 200 seated, and the stage makes it perfect for talks, performances or social events. Even with the seating, there's plenty of floor space in the main hall for fitness or dance classes. 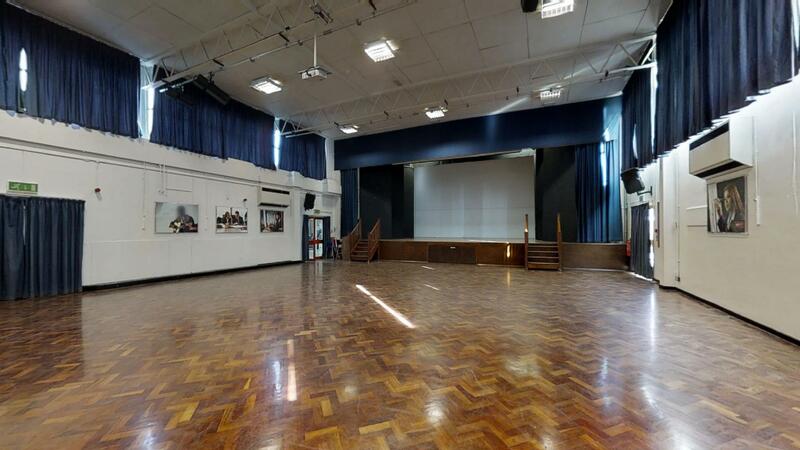 The main hall has wooden flooring and is approximately 25x14m. 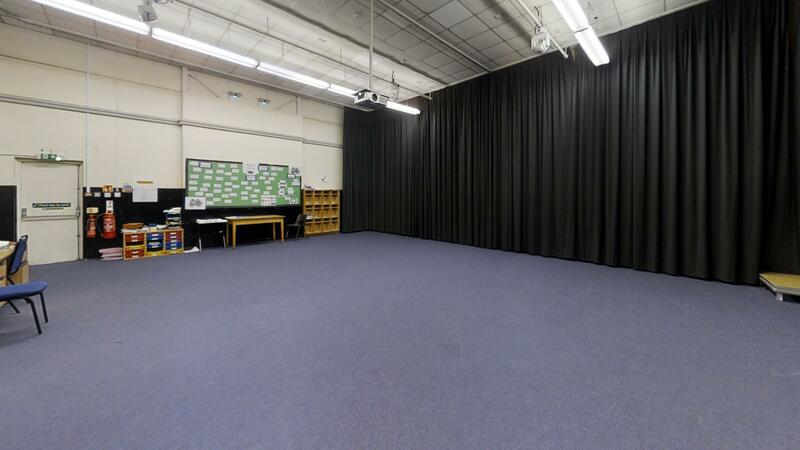 The drama studio has carpet flooring, black out curtains for optimum atmosphere. It is the perfect space for a range of indoor activities, especially theatre groups. The size of the drama room is 11x8m. 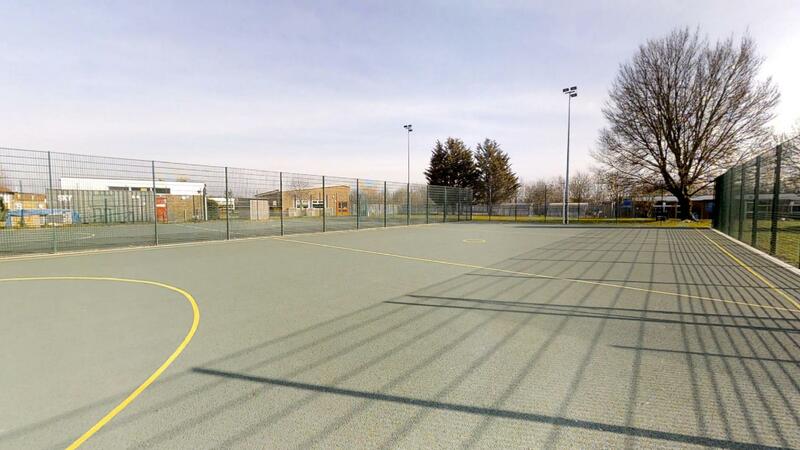 Harris Academy Rainham has two fantastic outdoor courts available for hire for netball. The flooring is rubber tarmac, and there is floodlights available as well. Perfect for your winter training sessions and weekend fixtures, this outdoor court is a bargain for what's on offer! The school has a small library which can be hired for meetings, training sessions or group work - perfect for language schools. 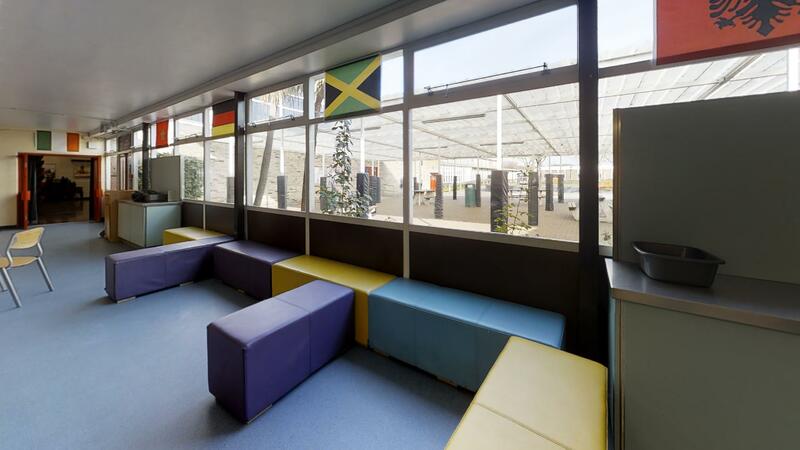 It can be useful to hire alongside the hall or classrooms as a breakout area. If you are looking to book Harris Academy Rainham, please plan in advance! We are unable to accept bookings or amendments less than 7 days in advance of your proposed start date.